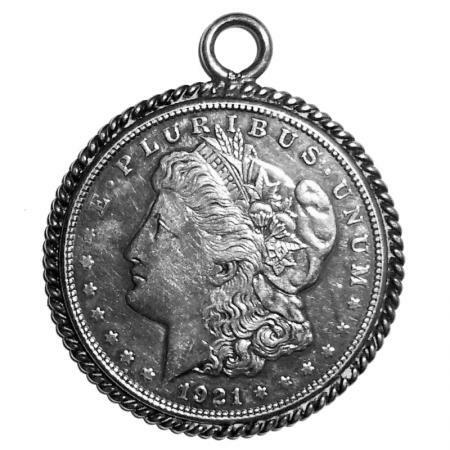 This is an early Art Deco coin jewelry pendant with a 1921 date 900 Coin Silver Morgan Silver dollar. The bezel frame is solid sterling silver. Old, not marked, tested and guaranteed. Size is 2" tall North to South with the loop by 1 11/16" wide East to West. Weight is 29.7 grams. From an estate, not polished and in gently used condition. Just add a top loop bail and chain and you will have a lovely early vintage coin jewelry dangle necklace for your collection. It is thick, substantial and showy. 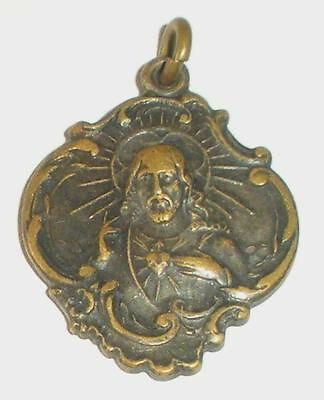 This is a beautiful Art Deco religious medal pendant or fob charm from The Shrine, Royal Oak, Michigan. From an estate and has much tarnish. Looks like bronze but could be worn plate over bronze. 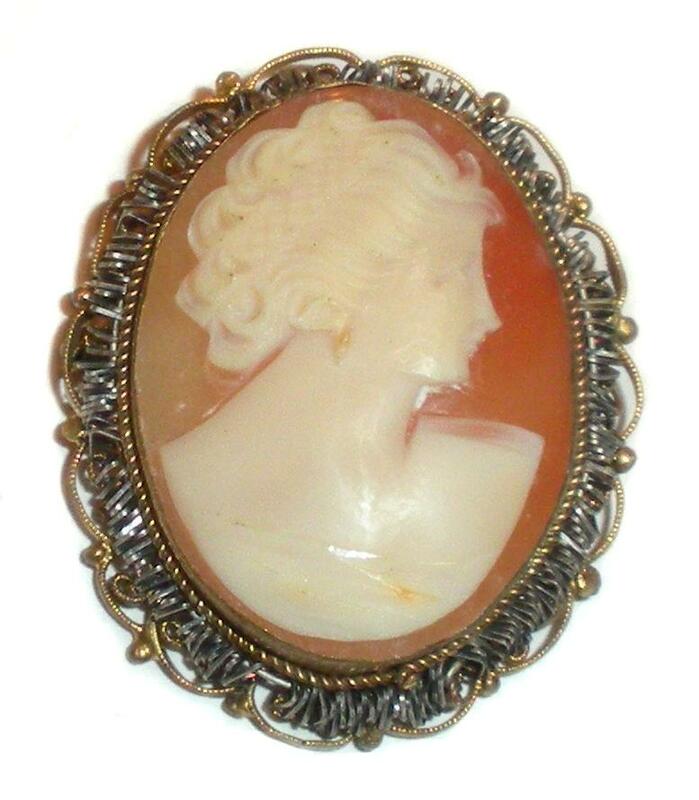 As it is older pendant it is thick, solid, well detailed and well made. The detail is still quite crisp; not worn down. Size is 1 3/16" tall with the bale by 13/16" wide across. This medal is strong so it is able to be worn daily. 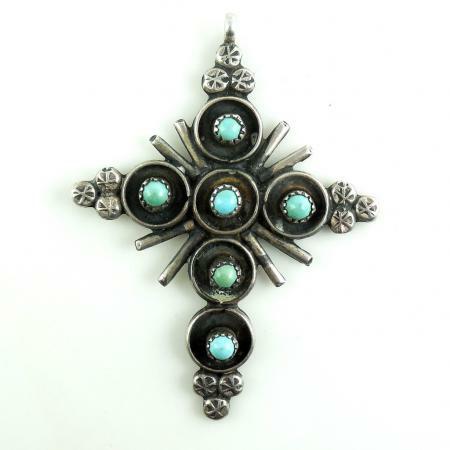 A lovely and unusual addition for your antique vintage religious jewelry collection. 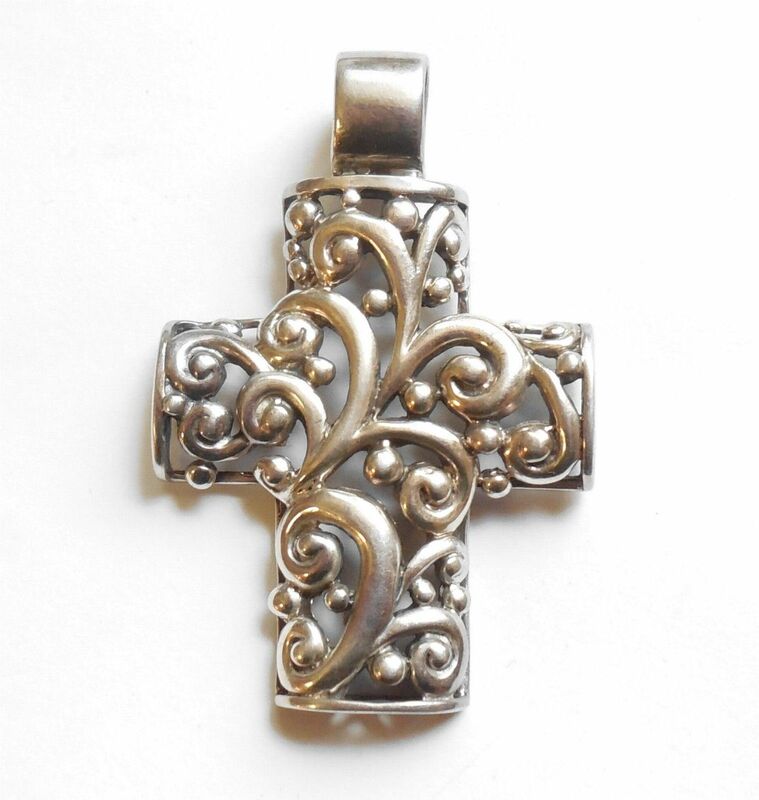 Symbolically made of hand wrought sterling silver nails this is a lovely art deco to mid century brutalist, hand wrought sterling silver cross pendant. 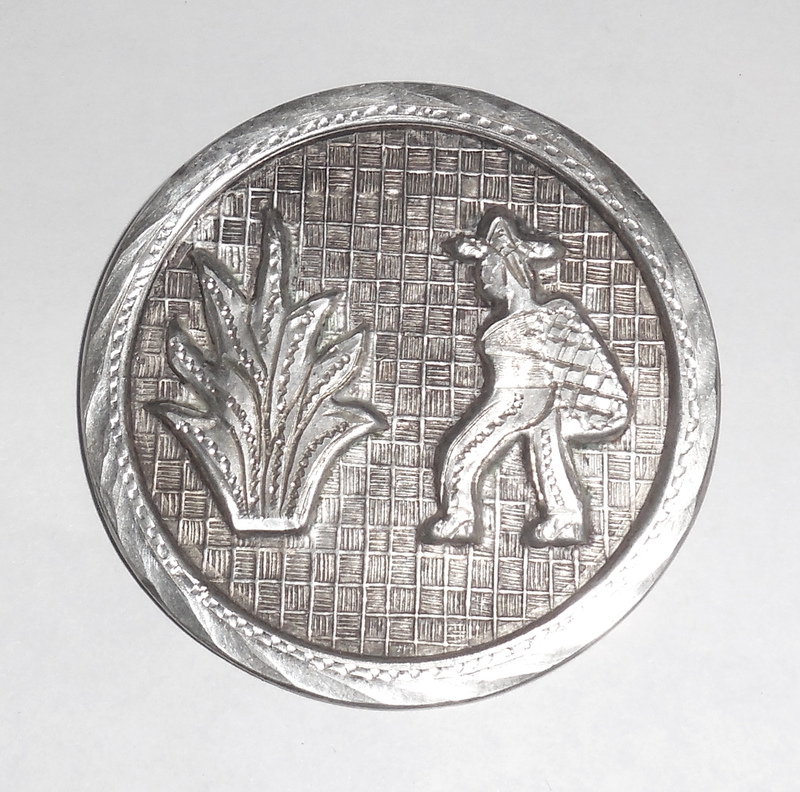 It is marked sterling, tested and guaranteed to be solid sterling silver. Excellent Condition. Thick and well-made. Size is just about 2 3/4" North to South including the fixed bale that is an internal part of the design. Width is 1 7/8" wide across the arms. Just add a chain and you will have a gorgeous rare and unusual statement necklace. The bale is 6mm wide so you can also use a small beaded necklace if you like. This is a large, chunky, Celtic Knotted Snake, sterling silver mens or womens slider pendant with English Irish Hallmarks and a year date of 1995 men or women. It also has a large wide, thick, chunky bail. 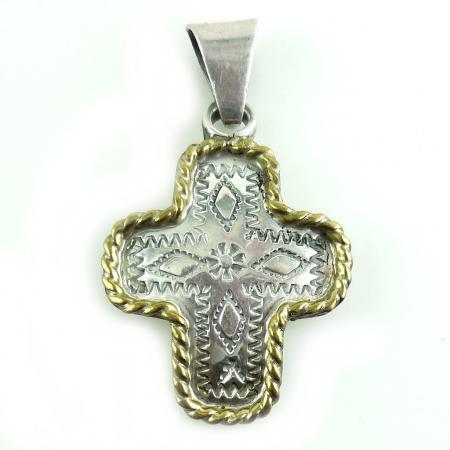 It is marked with English Irish Assay Hallmarks and letter date mark for 1995. Guaranteed to be solid sterling silver. Better than photos! All bright shiny sterling silver and highly reflective. Half of the snake is textured granulated and the other half is plain sterling silver. The knot has thick, fancy open work and is highly noticeable. It has some age use scratches that can be polished out. Otherwise, excellent condition. No deep scratches. No tears or gauges. No dents or dings. Sterling is still very thick and not worn down. The textured section is good as new. 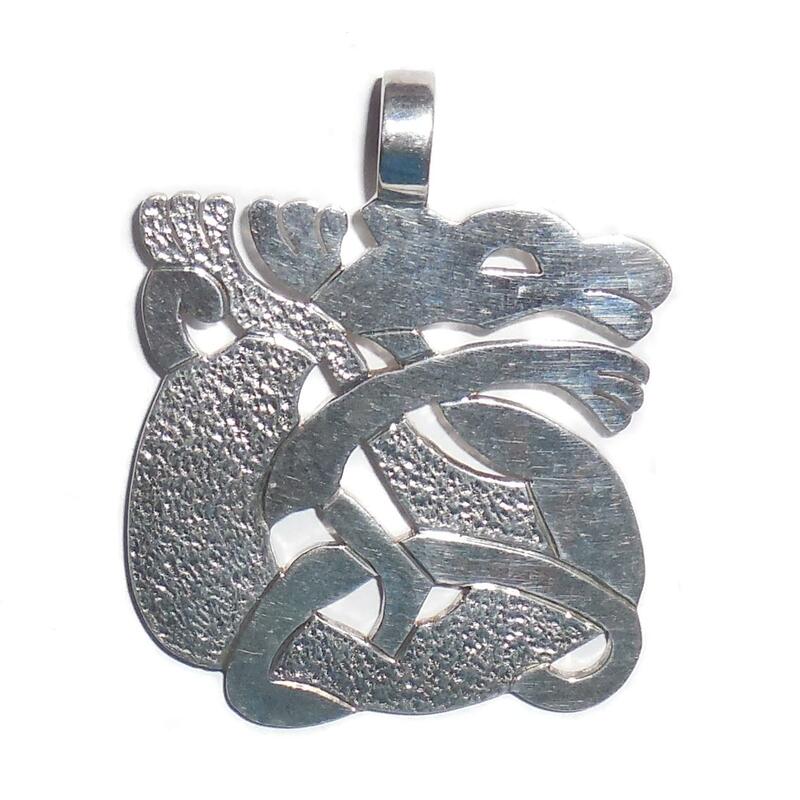 This is a chunky, showy, well made, Celtic Snake pendant that will look great on any chain for a necklace. Size is 1 7/8" tall north to south from the top of the bail to the bottom of the snake. Width is 1 9/16" across the center east to west. Weight is 17.4 grams. A beautiful heavy Irish Celtic piece for your collection!! 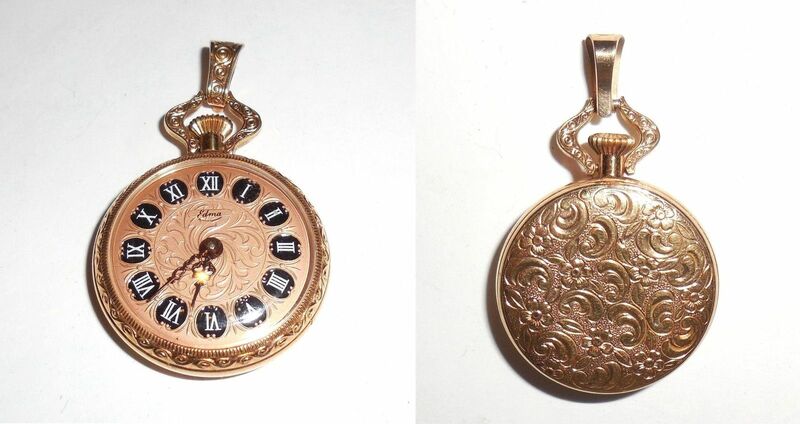 In beautiful condition this is a gorgeous fancy gold plated and enameled Edma wind up vintage ladies pocket watch pendant; excellent working condition. No gold wear. Works well. No enamel wear. No damage or repair. Marked Edma. It is from the 1970s and when wound up it works for about 24 hours without interruption and keeps good time. Size is 1 3/4" tall North to South including the fancy bail by just over 1" wide across East to West. Just add a chain and you will have a beautiful vintage dangling pocketwatch necklace.. 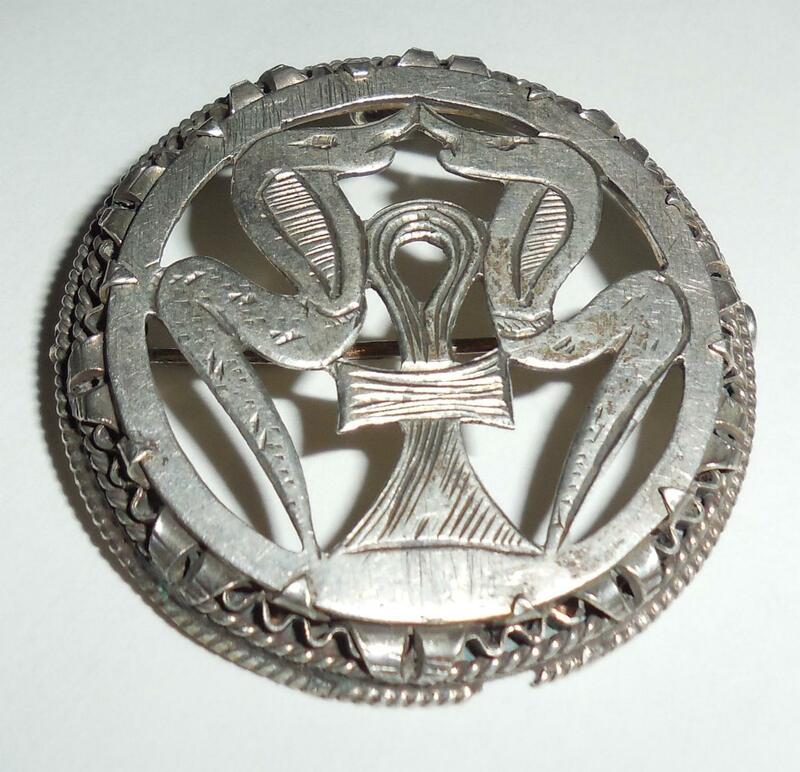 This is an antique Art Deco hallmarked Egyptian 900 Silver pendant or pin. It has a center ankh surrounded by dancing serpentines or cobras. Tested and Guaranteed to be solid 900 silver. Weight is 9.8 grams. 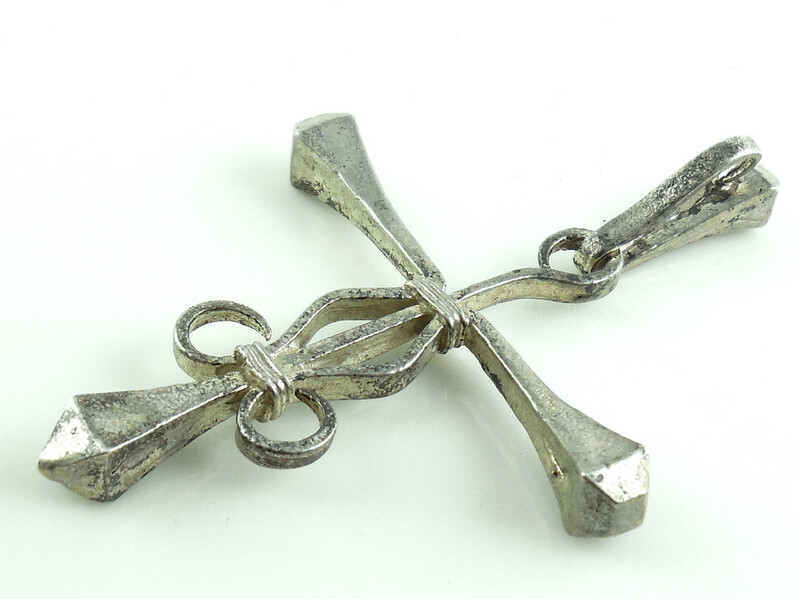 The ankh insert is removable or interchangeable. The bottom edge has a very, very small piece of missing twisted wire which is only 1m by 3m. Other than this it is well made and in excellent condition. Size is 1.5" across in diameter. The original early Art Deco push pull pin clasp is still intact and very secure. 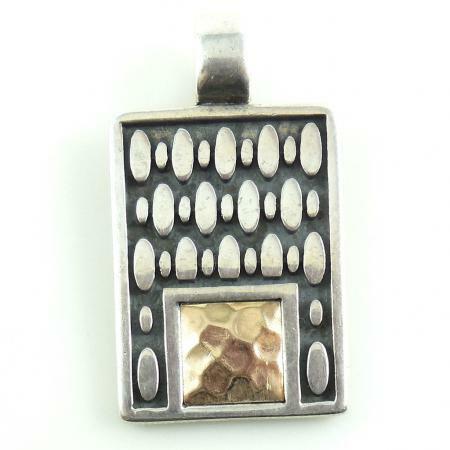 A lovely vintage Egyptian statement piece for your collection. 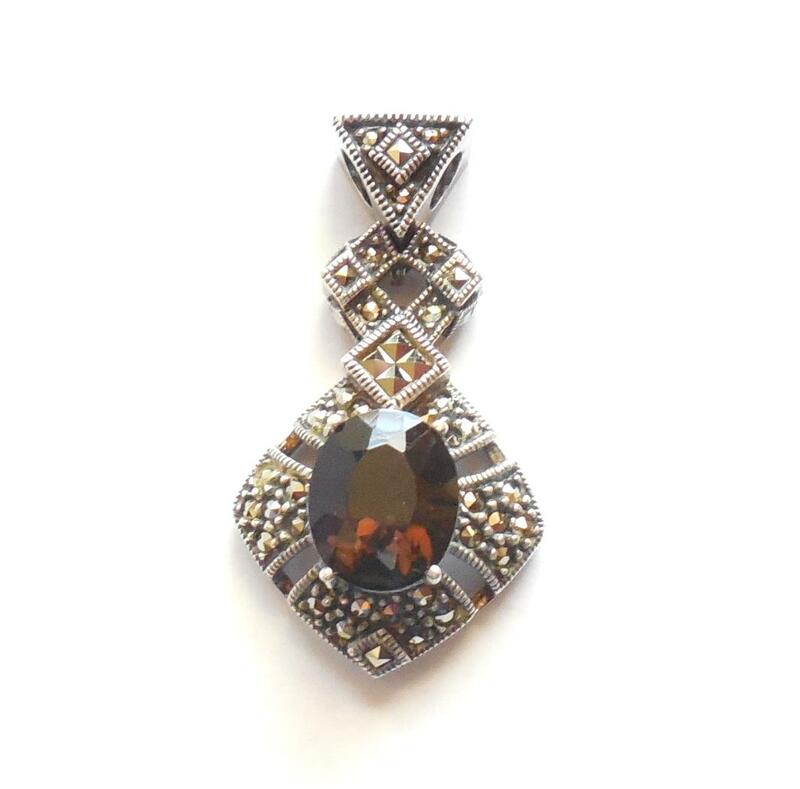 This is vintage signed Judith Jack sterling silver floater pendant that is embedded with marcasites and jeweled with a lovely smoky quartz stone in the center. It is marked with the Judith Jack JJ in triangles logo marking and is also marked sterling. Guaranteed to be solid sterling silver. The top bail is very thick with a 4.5mm opening on each side so it will hold a large chain or small beads. Size of pendant from top of bail to bottom point north to south is 1.5 inches. Width across the top bale is 3/8" and across the widest point of the body east to west is 3/4". Height from top of stone to back of pendant is 3/8". It is very well made, nice and thick and chunky. Weight is 9.3 grams. 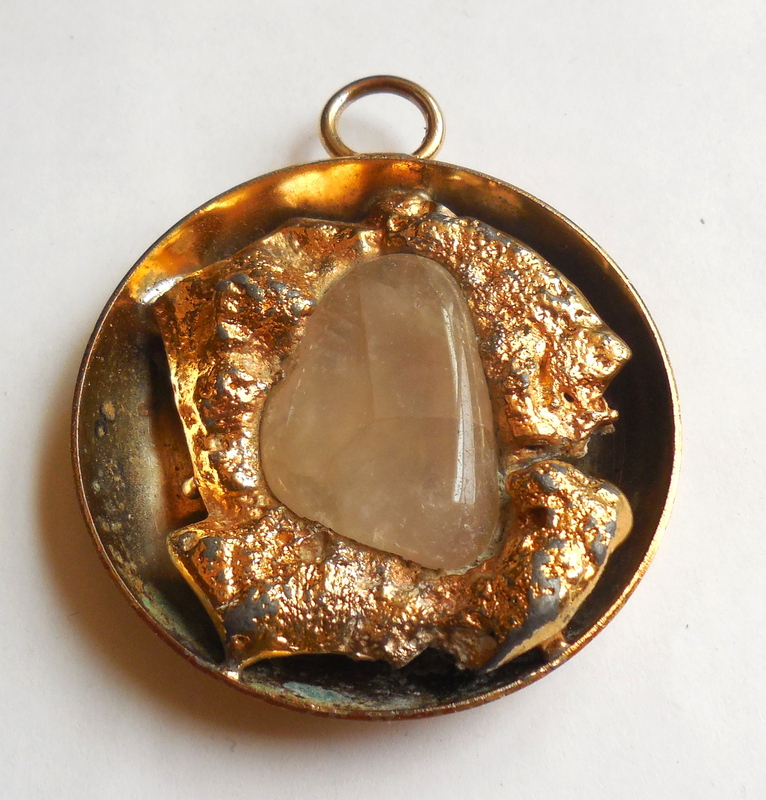 The center holds a lovely, large, showy, semi translucent smoky quartz stone that is oval shaped and faceted. It is deep brownish color and very sparkly. When held to light you can see that it is clean and has multi color highlights. Size of stone is 12mm by 10mm. Condition is excellent, very gently used. No damage or repair. Stone is crisp, clear, and showy. No chips, flakes, nicks, scratches, abrasions etc....Looks like when originally made. Still has its original polish. Not worn down. 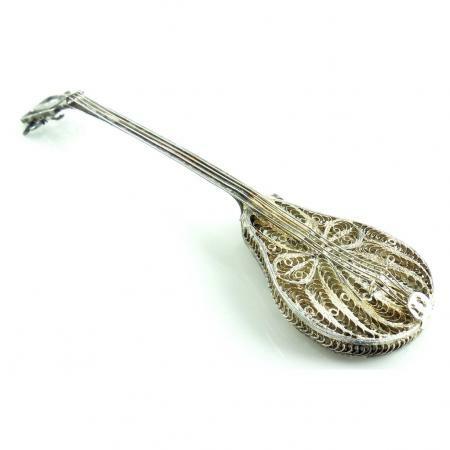 The sterling silver and marcasites are equally excellent. No dents, dings, tears, scratches etc....All detail including the tiny cut millgrain style work on the edges is still very deep and crisp. 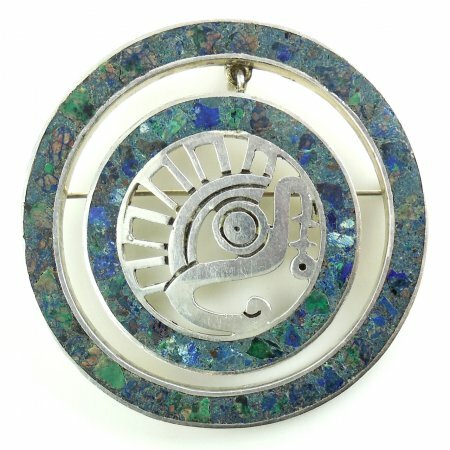 This pendant looks like it was rarely ever used on a chain. Completely original and never altered in any way. No repair of any kind. Just add a chain or small beads and you will have a lovely Judith Jack dangling neck chain piece. Not very large but beautifully jeweled, detailed, sparkly, and noticeable. A lovely addition for everyday use for your collection. 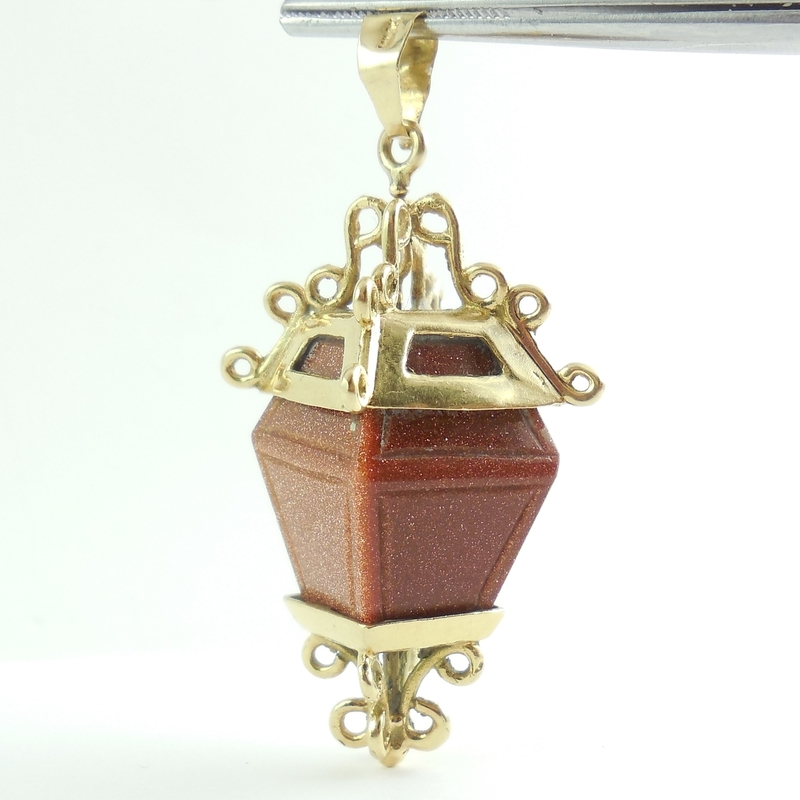 This is a gorgeous large 1950-60s vintage estate 14K yellow gold and carved goldstone hanging pendant, fob or charm. Marked 14K. All hand made with thick, substantial 14K gold and strong vintage design. There is an internal gold rod holding the top to the bottom. The top is loose but still secure and won't come off the rod or the stone. It is strong, dangles fine and looks beautiful but should be tightened onto the top by a jeweler. It has been in this estate for almost 60 years. Size is 1 5/8" tall without the bale by 11/16" wide across. Weight is 13.9 grams. Just add your antique or vintage watch chain for a super stunning pendant necklace. 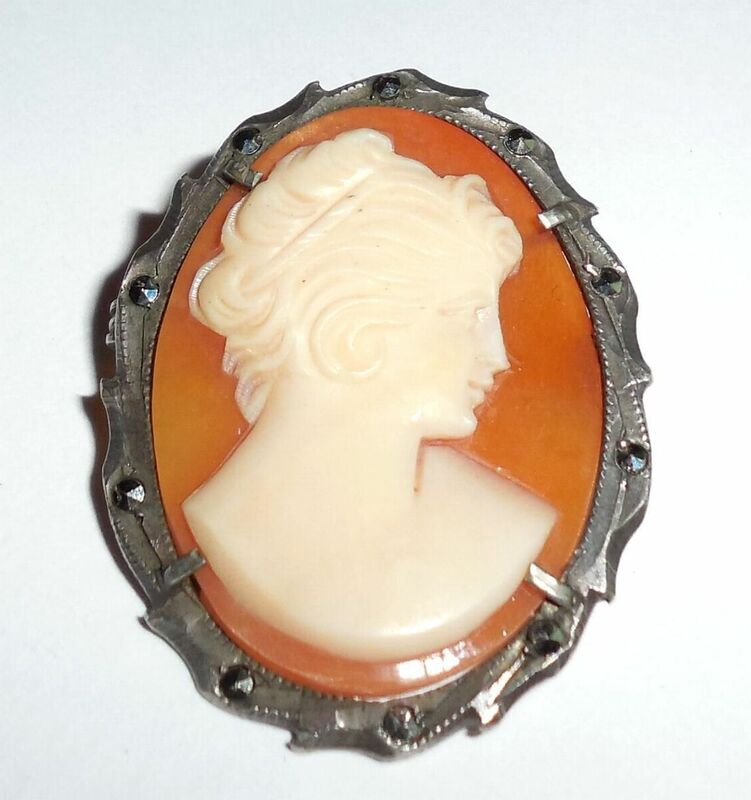 Or use as a fob or charm on your favorite vintage bracelet. It has a lot of 14K gold, is Very Unusual, and Very Showy. If you have any questions please feel free to use the contact us link at the top of this page.